Apocalypse Now? 2011 or 2012 or later? In my view, the Apocalypse (also called the tribulation) is divided into two parts: the first part occurs for this generation, but the second part is for the distant future. The first part of the tribulation includes the first six of the Seven Seals from the Book of Revelation. The first four seals are the same as the four horsemen of the Apocalypse. When do these events begin? My eschatology writings offer a set of speculative dates for these events, with the first set of events beginning in the 2010’s. The Seventh Seal is divided into Seven Trumpets. The first six trumpets are for this generation (during the first part of the tribulation), the seventh trumpet is for the distant future. A description of the six trumpets will follow in a subsequent post. 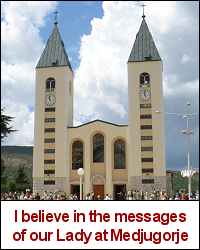 The Secrets of Medjugorje and Garabandal Revealed, third edition – This third edition has incorrect dates for the first three secrets of Medjugorje and for the Warning and Miracle of Garabandal. The book describes the first part of the tribulation based on the apparitions and messages of Medjugorje and Garabandal. The Bible and the Future of the World, ninth edition – predictions of future events in the near and distant future. The book covers both parts of the tribulation, based mainly on interpretations of Sacred Scripture. My first book of eschatology, now in its ninth edition. 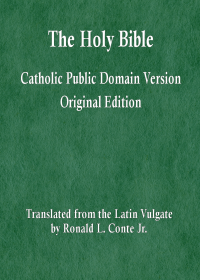 The First Part of the Tribulation, revised edition – the events of the first part of the tribulation, from 2011 (revised date) to early 2040 A.D., with particular emphasis on future Popes and the Church, on the great Catholic monarch and the Angelic Shepherd, and on the Three Days of Darkness. The Second Part of the Tribulation — forthcoming book, hopefully to be completed by June of 2011.